During my first year writing this blog, I didn't participate much in the various link awards that have been passed among the community. Finding time to watch movies and write about them can be tricky enough at times. Even so, it's been great to interact with so many passionate movie fans since I started this blog. 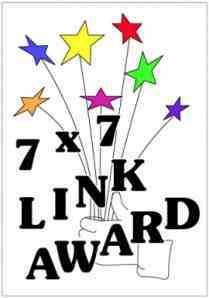 For this particular 7 x 7 Link Award, I've really enjoyed reading the other posts on this topic. It's interesting to note which pieces strike a chord with readers. Steve Honeywell at 1001 Plus and Alex Withrow at And So It Begins... were kind enough to pass along this award, so I figured it was time to write my own post. 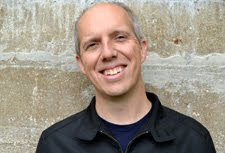 On a side note, Steve and Alex are two of the best writers out there, so you should definitely add their sites to your daily reading. 1) Tell everyone something that no one else knows about you. 2) Link to one of the posts that I personally think best fits the following categories: Most Beautiful Piece, Most Helpful Piece, Most Popular Piece, Most Controversial Piece, Most Surprisingly Successful Piece, Most Underrated Piece, and Most Pride-Worthy Piece. 3) Pass this award on to seven other bloggers. Part 1: Way back in 2001, I interviewed John Singleton for Digitally Obsessed, which was my first conversation with any big-name filmmaker. I was extremely nervous and stumbled through a bunch of awkward questions during the brief conversation. Strangely, this interview was picked up for the book John Singleton: Interviews by the University of Mississippi Press. It doesn't read too badly on the page, but trust me when I say that it was a bumpy conversation. He was friendly but gave very short answers, and I hadn't prepared enough follow-ups to keep the discussion flowing for very long. Still, it was a cool experience to get the chance to talk to the promising director. Part 2: This blog surpassed 200 posts recently, so picking a group of seven wasn't easy. I believe this collection offers a good mix from the past year. Most Beautiful Piece: I'm not sure that my writing should be called beautiful. Having a smooth flow to the sentences is the goal. Stepping away from this blog, one of my better posts was about the Chuck finale for Sound on Sight. I recapped the fifth season for that site, and it was a relief to see such a wonderful conclusion to one of my favorite shows. Most Helpful Piece: This is an easy one. Last September, I'd grown tired of Netflix's horrible treatment of their customers, especially movie fans. I was a member since the early days, but the company's approach had changed dramatically. I dropped my service and put together a Post-Netflix Project to document if I could do without it. I'm proud to say that I've spent virtually nothing and kept the blog rolling without a hitch since this move. Most Popular Piece: In May and June, I embarked on one of my favorite marathons focusing on That Crazy Nicolas Cage. My post on Raising Arizona has been the most popular piece since that time and continues to draw frequent visits. I do think the numbers have been pushed by image grabs of Randall "Tex" Cobb, so it's hard to say if this is truly the most-read post out there. Most Controversial Piece: My blog isn't really designed to inspire controversy, and I've enjoyed a good portion of the movies that I've seen. A rare example where I didn't like an acclaimed movie was The Red Shoes, which has striking visuals but a pretty dull story. I wouldn't call my post controversial, but it did inspire a few tough comments from readers. Most Surprisingly Successful Piece: One of my other favorite marathons was the We're All Dead! series, which focused on post-apocalyptic films last summer. This gave me the chance to check out Kevin Costner's ridiculous epic The Postman, which isn't very good but is wonderfully hokey. My post about this film has remained in the second spot and continues to draw solid attention to this day, which still amazes me. Most Underrated Piece: It's difficult to quantify what makes a post underrated. Is it the number of views, the number of comments, or something else? During my marathon through the last three movies from the Sight & Sound Poll that I hadn't seen, I watched Tokyo Story for the first time. It's a stunning, emotional film that led to one of my favorite posts. Most Pride-Worthy Piece: I'm not a great self-promoter, but I feel like every once in a while I can put together a solid post. One of my favorites is my piece on Reservoir Dogs and how Tarantino uses the conventions of the heist genre but enjoys subverting them. I watched it right after seeing Kubrick's The Killing, and thinking about those films together made for an interesting experience. I've got a few other nominations but I haven't yet done this one, so I suppose I'll get more and more nominations until I give in and do it. Eventually there won't be so many others to give it to. Still: I appreciate the thought. Thank you very much for the link love! No problem, Jessica. It took a few nominations before I decided to put together a post, so that's understandable. Dude you got to interview John Singleton?! That’s awesome. Although his films have fallen off as of late, Boyz N the Hood is one of my favorite films of the ‘90s, and Baby Boy wasn’t half bad either. The interview wasn’t as bad as you made it out to be… I was expecting some sort of disaster! What other big names have you interviewed? Love this site, your award is well deserved! Thanks Alex! I interviewed John Singleton right after Baby Boy, and he hasn't really done much of note since (unfortunately). I haven't interviewed too many other big names. The best one I did was with Julie Delpy after Waking Life came out. She was really friendly and talked for a long time. Thanks so much Dan! Congrats on your well-deserved award, and how awesome that you got to interview John Singleton! No problem, Ruth. It was cool to talk to Singleton, though I do wish my preparation had been a bit better. Thanks!